Beyond a doubt, I had to tell you about this rumor! I am a huge fan of the Mac Mini and it was the first Mac I bought. I purchased my Mac Mini in 2007 I think and I still use it every day. It currently functions as my media server and media center. I think it is a great device for anyone wanting to move to a Mac while saving money. You provide the monitor, keyboard, and mouse...but you probably already have them anyway. The Mac Mini takes up so little space. It's awesome! Anyway, the latest rumor is that Apple will introduce an updated Mac Mini along with the iPad Mini. Just based on their names, it makes some sense. I don't see Apple making any extreme updates but it may be tempting enough for me to move up from my 2007 model. 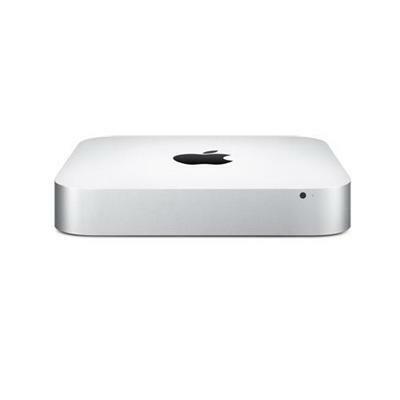 It will be a sad and happy day if I retire my Mac Mini and get a new Mac Mini. More details on the launch are below. Is anyone else as excited as I am?